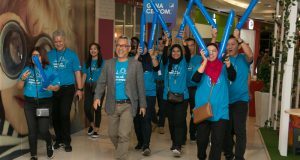 Celcom Axiata Berhad has signed an agreement to join IC5G, initiated by Universiti Teknologi Malaysia (UTM) and Ericsson in 2015, at the UTM Kuala Lumpur campus. Sealing the deal were (L-R) Todd Ashton, President, Ericsson Malaysia, Sri Lanka and Bangladesh, Idham Nawawi, CEO of Celcom Axiata Berhad, and Professor Dr. Shamsu Sahibuddin, Pro-Vice Chancellor of UTM, KL Campus. Also witnessing the signing ceremony were (L-R) Professor Dr. Tharek Abd Rahman, Non-Governmental Commission Member of MCMC, YB Gobind Singh Deo, Minister of Communications and Multimedia, and Al-Ishsal Ishak, Chairman of MCMC. 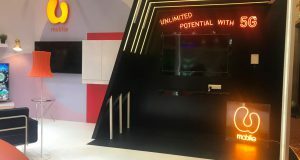 Endorsed by the Malaysian Ministry of Higher Education, IC5G is Malaysia’s first Innovation Centre, established to research and test 5G technology and use cases, featuring demonstrations and a learning space with specifically designed learning modules. It also showcases 5G innovations, a 5G research lab and a 5G learning space for the benefit of students and industry professionals. 5G innovation showcase – To showcase 5G use cases and demonstrations. 5G research lab – For research and studies in key areas: Propagation, antenna, wireless communications, networks, security, sustainability and safety studies. 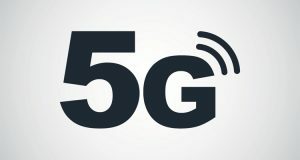 5G learning space – Short-, medium- and long-term learning programmes on 5G-and-beyond technologies offered by Ericsson and UTM for international and local industry players, as well as higher learning institutions. The agreement was signed in presence of Gobind Singh Deo, Minister of Communications and Multimedia. 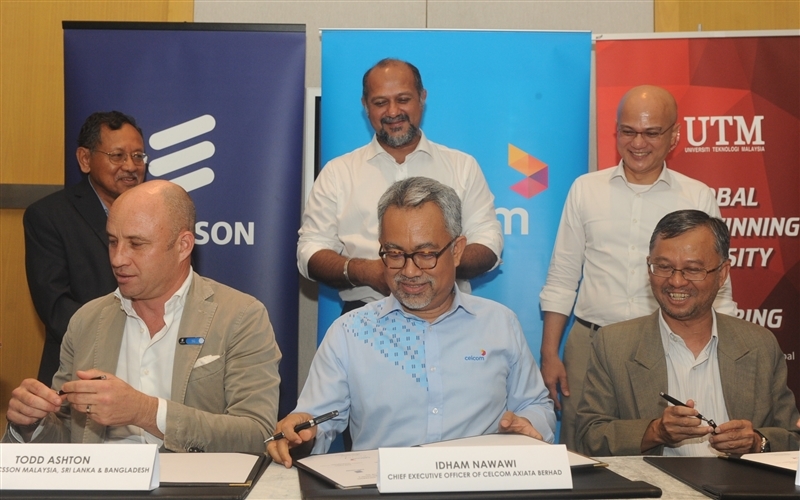 As part of the agreement, Celcom Axiata will work with UTM and Ericsson to drive the development of 5G and IoT (Internet of things) use cases relevant for Malaysia, which includes studying and testing network traffic across different use cases to better understand 5G performance and feasibility scenarios. 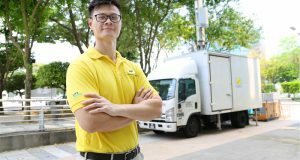 “Through the Innovation Centre for 5G, Ericsson and UTM have worked together to drive local 5G innovation and to train technologically competent and employable local human talents. We welcome Celcom to be part of this partnership. We are fully confident that this will help to ensure that Malaysia is on the right path to be digitally transformed by 2020,” said Prof. Dr. Shamsul Sahibuddin, Pro-Vice Chancellor of UTM Kuala Lumpur Campus . Celcom Axiata, UTM and Ericsson will be showcasing their 5G use cases at Kompleks Perbadanan Putrajaya this weekend (20-21 April). 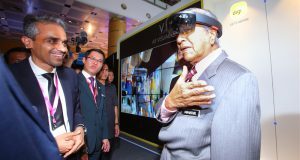 The 5G showcase is open to public and will be graced by Tun Dr. Mahathir Mohamad, Prime Minister of Malaysia.